Yak, Yeti & Roll ? Released in December 2018, Yak, Yeti & Roll from Betsoft is a 5 cascading reels and 20 fixed paylines slot. It tracks the story of the eccentric Inuit inventor Yak and his trusted Yeti sidekick in a wild arctic adventure with prizes of up to x200 stake! Betsoft is amongst the best in artwork, and a look at this slot easily shows you why. The zany winter theme is reinforced with the frigid snow-covered trees and earth. The translucent icy-blue reels contain symbols such as the higher-value grey wolf, reindeer, igloo, redesigned sleigh, and mittens. The frost-covered five royal flush poker symbols round out the symbols. An orchestral-style soundtrack adds a certain magic to the theme along with animation from the foot-peddle powered sleigh to the left of the reels which keeps things moving along brilliantly. The Yeti acts as a wild who substitutes for all the other symbols except Yak Eskimo scatter when appearing on the 2nd, 3rd and 4th reels. Yak is the Eskimo scatter symbol who will reward payouts in any position when appearing in sets of 2, 3, 4 or 5 for up to €3, €12, €30 or €150. As we mentioned, this is a cascading slot for up to a maximum of 17 in succession. Each time a cascade is triggered, then the snowmobile picks up speed which unearths treasures that have been frozen along the way. 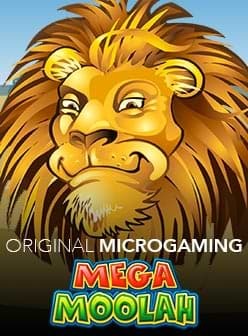 These treasures can be in the form of free spins, instant cash prizes, cascade multipliers or free spins multipliers. The Double Up Game is triggered after the end of a cascade feature offering you a chance to go double or nothing on your wins by betting all or half your winnings. Alternatively, you can choose to bypass the feature and collect your winnings instead. 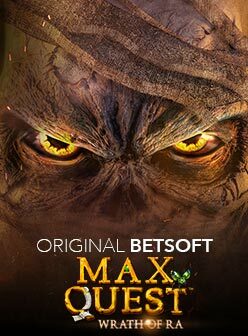 A feature that we’re seeing more and more of in Betsoft slots is the Buy Feature which allows you to buy into 18 free spins with a x4 multiplier at a cost that is displayed in the bottom right of your screen. Yak, Yeti & Roll slot has an RTP of 95.93% which can increase to 96.54% when using the Buy Feature. You can vary your bets from €0.40 to €12 without the Buy feature or €52 to €1,560 with it. This slot is compatible with Android and iOS device when on your mobile or tablet, as well as Windows when on your desktop. This slot has an amusingly wacky theme supported with great graphics and audio and can be found at one of our recommended casino sites.